Amy, the friendly owner, Was there at the front desk welcoming all who were ready for fun. We dropped your shoes off of one of the purple cubbies adorned with fun stickers: a great way to remember where we left our shoes; and we were often running. 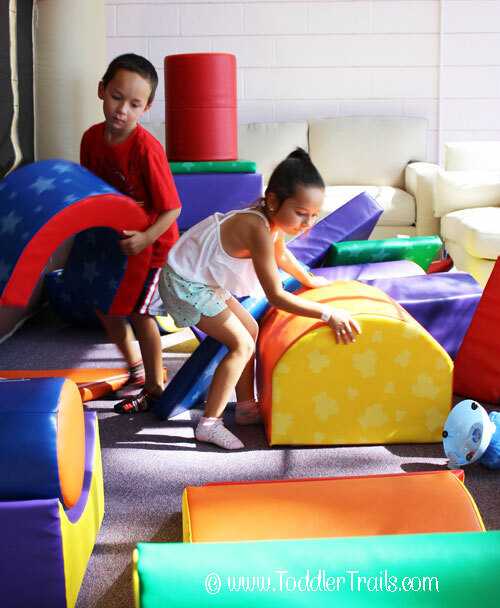 With six different inflatable’s, Jumping Fun Kids has something for all ages. My kids decided to go down the line, investigating each one. The first inflatable was the toddler jungle bounce designated for the littlest of bouncers. Next to that was the ladder inflatable. If you’re up the challenge, you can try balancing on the ladder that rocks and flips the farther up you move. If you fall, at least you have a soft surface to land on. 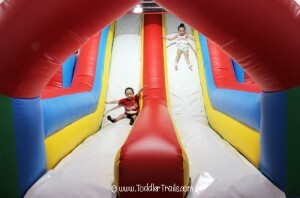 My kids loved the obstacle course inflatable. 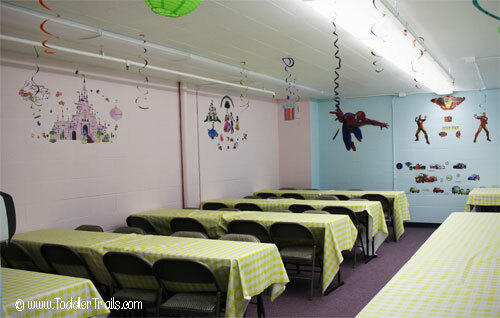 There are three different lanes or rows the kids could race each other through climbing, dodging, and sliding. And for the little ones who enjoy a theme inflatable, a princess castle and a fire truck inflatable are right up their alley. Finally, the Velcro wall inflatable is just great fun. 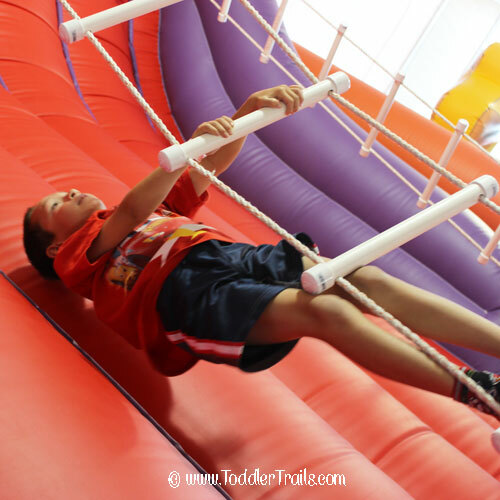 Get suited up in a fancy Velcro suit and run and leap to see how high up you can stick on the Velcro wall. Parents can even toss their brave little ones up on that Belk a while to see how high they can stick. For parents, they’re comfy couches scattered throughout the facility, a great way to catch up with other parents while the kids are bouncing in playing. 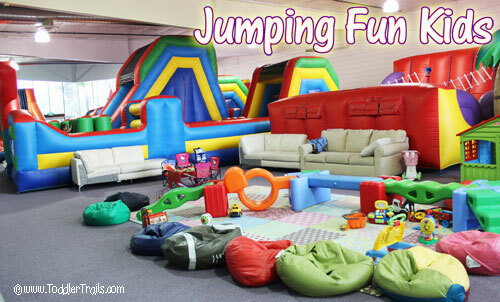 Jumping Fun Kids is open daily. Sunday – Thursday 10am – 7pm. Friday – Saturday 10am – 8pm. My son would love this place.